Chris spent the day with us, leading morning worship and engaging us all in a lively children’s (and adults) concert over lunch. I really appreciated it and enjoyed his ministry to us. I’ve heard positive reports back from all ages. It was obvious that the kids were very engaged and actively involved, and because they enjoyed the worship I’m sure it will stay with them as a positive memory. Chris blessed us as he lead worship. His presentation engaged both children and adults. His songs were woven together with God’s word bringing out the joy and hope of our faith in Jesus. Chris involved the children and as we watched their joy we were all brought into a celebration of God’s love through them. He spoke clearly to both children and adults, leaving us wanting more. I was really pleased that we had invited Chris and that he accepted our invitation. Thumbs up. Chris would be a blessing in any Christian community either leading the whole service or simply presenting a few of his songs. His enthusiasm is infectious. Thankyou for Chris for the time and talent that you have shared with the broader church here in Port Pirie. Your ability to engage with Children of different age groups certainly was very much appreciated. Whether it was in a large open air concert, a school performance or a church setting, you brought the message of Gods love in a most wonderful way. You were great to work with, very sensitive to the setting you were in and you are a huge blessing to the church. I heartily endorse your ministry and gifting. — Pastor Mark Broadbridge Senior Minister NewlifeCCC Pt Pirie, Pt Augusta, Roxby Downs. Our students loved your performance and many requested that you return. Your high energy songs and actions and your enthusiasm about your faith kept everyone engaged. Mannum Community College, South Australia. "Chris's presentation was lively, engaging and fun, full of music and Biblical storytelling that was age appropriate for our primary students from Pre-School up to Year 5. I haven't seen the students get so interactive with a presenter before, and I really believe it was the live music and catchy sing-a-long songs that fostered this. I recommend it for any school wanting to spread more J-A-M. Thanks Chris." "I can't part with them.....just great and restful.....can't help it.....down tools and listen. Great gardening music also!" Thank you so much Chris for being with us on our special service during Children’s Week 2013. The feedback from the kids was –“ that was great and can he come again!” And the adult’s response was just as positive. Your music is easy to join in with, the lyrics tell of God’s truths in a simple yet powerful not “fluffy” way, you engage with and are able to read your audience well. May God continue to use your ministry to tell His story to many and particularly our precious children. Just wanted to say a big thank you for your time and efforts on Friday evening at Bridge Kidz. Your songs and their message(s) were great. Your energy is crazy! Will try to arrange to get you back down here again a little later in the year. Just want to thank you again, on behalf of myself and the retreat committee, for the fabulous session you gave to us last weekend! The women were using your song title "Thumbs Up!" at every opportunity! Even Pastor Geoff Johnston, our Retreat pastor used it in his sermon the next day and again in his thank you letter during the week! I have been playing the CD's at home and I'm a bit reluctant to give up them to my daughter for her children for whom I bought them! I may have to buy some more! Will you be at the next Invigorate Children's ministry conference next month? I reckon you are as good as Colin Buchanan! May the Lord continue to bless your ministry- don't be surprised if you get a lot of invitations in the near future! The word spreads very quickly with these women! I have known Chris Jaensch for nearly 20 years, and in that time have been impressed by many of his fine qualities as a person and a Christian, but none so much as his wonderful songwriting and lyricistic skills. His ability to write significant songs with wonderful and meaningful lyrics and catchy, appropriate and memorable tunes which one wants to sing over and over and which speak to people of all ages and stages of life, is amazing. I have long been a fan and very much enjoy listening to his work many times. This is a superb ministry and I applaud his commitment and dedication in using his skills in this life affirming way. Keep up the good work, Chris! Biblically based Christian music. Thanks for sharing your gift with us. Thank you, thank you, thank you! You have brought God’s presence to us through you, your music, gospel words and your joyful service to our community. You are a faithful and humble servant whom God loves and blesses and says, ‘Well done!” May God continue to bless your spirit. I loved listening to your bright and breezy CD this week before sending it off to my granddaughter for her Baptismal Birthday. Great songs, words and arrangements. It brings back good memories of my latter Sunday School teaching days. I was playing your CDs when the grandies arrived and they sang along with great gusto.How happy we are to hear them expressing the Gospel in that way. The CDs arrived safely yesterday. I have played them both and clapped and clicked and danced around the lounge. I love kids’ songs….for kids of all ages. The tunes are catchy and the accompaniments are terrific, lots of different styles. It would be hard for kids to sit still and not be involved. — Wendy. Mum and Grandmum. Teachers were unanimous in their comments about your show- great, interactive, engaging Reception through to Grade 7. Catchy music and lyrics with the CD’S becoming a valuable resource for class music lessons in the junior classes. We have been listening to Chris' music for many years now. We have 3 children who have grown up listening to "Jam", "Go, Go, Go" and "Thumbs Up". His CDs have been a part of our family life from Baptism birthday celebrations to long car trips from S.A to Qld. We love them. 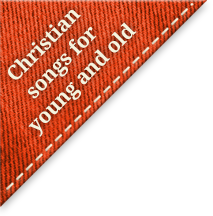 I have always found Chris’ music to be Gospel based and engaging…perfect for a class of six year olds.